With a growing demand for skilled workers and the rising cost of overhead, many companies are turning to Professional Employer Organizations (PEOs), to meet their human resources needs. A PEO, generally speaking, is an entity that acts in some ways as a co-employer, providing human resource and other solutions while allowing a company to retain day-to-day control of employees and organizational structure. Services provided by PEOs can range from payroll management to regulatory compliance assistance to leasing employees. Of particular interest here is what happens when an employee gets hurt on the job, and who is responsible for providing workers’ compensation insurance coverage – the PEO or its client. At first glance, it may seem very simple, right? If the agreement between the PEO and its client provides that the PEO shall provide workers’ compensation insurance coverage for employees, then the injured worker would presumably be covered under the PEO’s policy. Of course, if it was that simple we would not need lawyers, and you certainly would not be reading this article. When it comes to liability and workers’ compensation insurance coverage, as any good lawyer will say, it all depends. Article 31 of the New York Labor Law requires that a PEO be registered in New York State or obtain an exemption prior to entering into a PEO agreement with a client. A PEO will be exempt from registration where it (1) is domiciled outside New York State and is licensed or registered as a PEO in another state; (2) does not maintain an office in New York State or solicit clients located within New York State; and (3) does not have more than twenty-five worksite employees in New York. A PEO that is not exempt must register. The Workers’ Compensation Board considers the registration requirement to be pivotal in determining whether a PEO shall be deemed to be an employer of the injured worker in any particular case. Of course, failure to register as a PEO is illegal and not without its own civil and criminal penalties for the unregistered PEO. 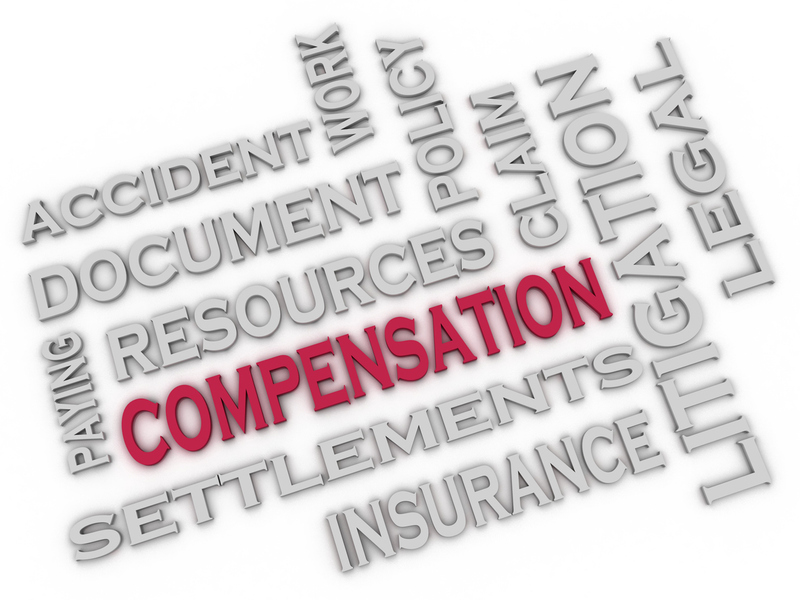 However, where a PEO is exempt or fails to register when required, the client company may be left holding the proverbial bag – in this case, workers’ compensation insurance liability. Where a PEO complies with the requirements of Article 31, the Workers’ Compensation Board will deem the PEO to be the injured worker’s employer, and will proceed to determine whether the PEO secured workers’ compensation insurance coverage in its name or its client’s name, as required. Where a PEO is exempt or fails to comply with the requirements of Article 31, then the board will proceed to determine the proper employer (and thus workers’ compensation insurance coverage liability) using the traditional considerations of direction and control, based on the evidence before it – typically in the form of the written PEO agreement and trial testimony of the claimant and witnesses from the PEO and its client company. This generally results in liability being assigned to the client company, as PEOs typically do not direct the day-to-day work of leased employees. However, there is also the potential for the Worker’s Compensation Board to assign liability to the noncompliant PEO under the tried-and-true (and also confusing) concept of general-special employment. A general employee of one employer may also be in the special employ of another, notwithstanding the general employer’s responsibility for payment of wages and maintaining workers’ compensation insurance and other employee benefits. The same considerations of direction and control apply in determining whether general-special employment relationship exists, as in determining the existence of an employer-employee relationship. Whether a general employee of one employer is also a special employee of another is considered a factual issue for the board to resolve, and the existence of a contract between the general and special employer is unfortunately not determinative of the issue for workers’ compensation liability purposes. In the absence of a clear demonstration of surrender of control by the general employer and assumption of control by the special employer, the general employment is presumed to continue. Where general-special employment is found to exist, liability may be assessed against either the general or special employer, or both, as the board sees fit. The Workers’ Compensation Board has previously found a payroll service company acting akin to a PEO liable for workers’ compensation insurance coverage as a result of a general-special employment relationship. Thus, where an entity performs the same functions as a statutory PEO, the board is willing to extend liability even though the company may not be required, by statute or contract, to provide workers’ compensation coverage. In short, it’s not always a matter of meeting technical requirements. Often, the determination of who is responsible for providing workers’ compensation insurance coverage to an injured worker is purely factual. When looking for qualified employees, companies will often seek candidates from a variety of places. A company could work with a PEO to retain candidates with a specific skill set, while directly hiring other candidates. Despite direction and control being exercised by the client company and an injured worker having had almost no contact with the PEO, oftentimes the lines become blurred between the PEO and the client company, particularly for the injured worker. There may even be employees performing the same job functions while being treated differently when it comes workers’ compensation liability. This becomes even more confusing as the insurance policy is often held in the client company’s name. Employers sometimes assume that the coverage provided by a PEO applies to all of their employees, or at least an entire class of employees. In addition, when performing a workers’ compensation coverage search, the board often identifies the insurance carriers by the timing of coverage rather than the particulars of the policy. Keeping a clear record and distinction between PEO employees and non-PEO employees becomes key. A broad policy covering a type or class of work may extend liability to employees for whom the PEO did not anticipate covering. Fortunately, the Workers’ Compensation Board has acknowledged this dilemma, recognizing the distinction between a PEO employee and a client company employee. In fact, where a policy is taken out by a PEO on behalf of a client company, the board requires that the policy have the designation of “L/C/F” (leasing company for), to identify the PEO relationship. The PEO should be listed as the policyholder, with the client company listed as the insured. This indicates that the policy only covers those employees of the PEO and enables the board to place the proper parties on notice of an injury upon the filing of a claim. This designation is crucial as oftentimes it is the client company named as the employer and listed as having coverage with the Workers’ Compensation Board. This designation can prove useful where a client company holds different policies for different employees and/or types of work, or works with multiple PEOs. In the end, the most important point for PEOs and their clients to keep in mind when it comes to obtaining workers’ compensation insurance coverage is to know your partner. A client company should be sure to investigate and ensure that a PEO is properly registered with New York State prior to entering into a contractual relationship, to avoid having to litigate for services it has already paid for. Additionally, if the client company is retaining employees outside of the PEO relationship, an additional workers’ compensation insurance policy should be held to cover those non-PEO employees. Assuming that the existence of a PEO relationship provides workers’ compensation insurance coverage to all employees can be a costly assumption, leading to hefty fines and significant exposure for medial and indemnity benefits when a non-covered worker is injured. Likewise, a PEO should be diligent in ensuring that a client company is maintaining proper workers’ compensation insurance coverage for its non-PEO employees. The Workers’ Compensation Board may find liability against a PEO where a PEO relationship exists in fact and absent a specific policy stating otherwise. It is important that the PEO policy is clearly identified as such and that the relationship between PEO and client be respected. Finally, prompt and thorough investigation by a carrier with its insured regarding the existence of a PEO relationship and coverage of PEO employees is essential to identifying whether a coverage issue exists at the outset of a claim. To avoid possible liability pitfalls, it is imperative to retain the proper representation to navigate complex issues of insurance coverage such as this. Where there are questions of liability between PEOs and their client companies, retaining attorneys experienced in this area can help avoid unnecessary litigation and potentially costly coverage findings. A list of PEOs currently registered in New York State can be accessed online here.